Three decades of reform since 1978 in the People’s Republic of China have resulted in the emergence of new social groups which have included new occupations and professions generated as the economy has opened up and developed and, most spectacularly given the legacy of state socialism, the identification of those who are regarded as wealthy. However, although China’s new rich are certainly a consequence of globalization, there remains a need for caution in assuming either that China’s new rich are a middle class, or that if they are they should immediately be equated with a universal middle class. Including sections on class, status and power, agency and structure and lifestyle The New Rich in China investigates the political, socio-economic and cultural characteristics of the emergent new rich in China, the similarities and differences to similar phenomenon elsewhere and the consequences of the new rich for China itself. In doing so it links the importance of China to the world economy and helps us understand how the growth of China’s new rich may influence our understanding of social change elsewhere. 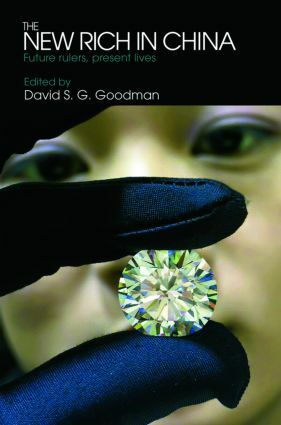 This is a subject that will become increasingly important as China continues its development and private entrepreneurship continues to be encouraged and as such The New Rich in China will be an invaluable volume for students and scholars of Chinese studies, history and politics and social change. Issue-based politics: Feminism with Chinese characteristics or the return of bourgeois feminism?